Mostly cloudy. Low near 45F. Winds NNW at 10 to 20 mph. A new brochure is designed to help get the word out about practical ways to avoid more weed problems at Loomis Lake. 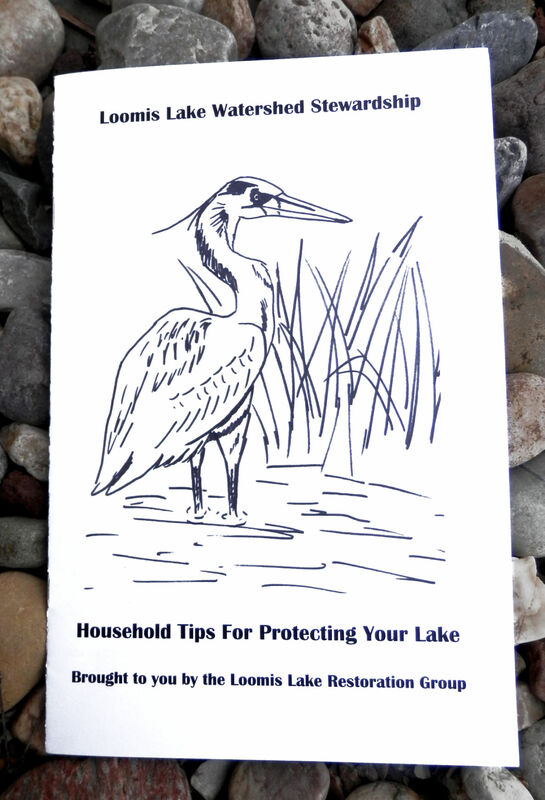 The brochure is designed for Loomis Lake but its tips work equally well with other Peninsula bodies of water. Information is the next step on the campaign to keep Loomis Lake clear of invasive plants. Leaders of the Loomis Lake Restoration group are asking residents to play their part by circulating an eight-page pamphlet. It was written by Rebecca Lexa, a member of the restoration group who is a member of the Friends of the Willapa Wildlife Refuge. In designing the brochure, Lexa sought to make the advice practical. Rainwater flows into the lake from other homes between Pacific Highway and the lake — not just those on the lakefront. “When all that rain drains into the lake, it carries contaminants like lawn chemicals, car wash soap and drips of engine oil into the water,” she wrote. Some, especially those containing phosphorus, are harmful to wildlife and plants. “Lawn fertilizers can make water weeds and algae grow too quickly, causing the lake to be clogged with plants,” she added. For those living close to the lake, she suggests a buffer zone of at least six feet, but up to 15 feet, between the edge of a yard and the water. Buffer zones can also be created around drainage ditches. Other recommendations include not feeding water fowl like ducks and geese, which encourages dependency. • Never throw pet waste in the lake. A study revealed two invasive species were a significant problem: Eurasian watermilfoil and Brazilian elodea. The group has fought back by spraying. “It is next to impossible to complete eradicate these things once they are established. The best we can do is monitor it,” said Lexa, a writer and artist who is a Certified Oregon Master Naturalist. She hopes homeowners and others will encourage native plants on their properties, including western sword fern, bracken, evergreen huckleberry, salal, osoberry and skunk cabbage. In the water, she looks to encourage yellow pond lily, marsh pennywort, native broad-leaved cattail and water hemlock (though this latter plant can be toxic if eaten by pets or children). The pamphlets will assist in recruiting help. “The more we have eyes on the lakes, especially Loomis, telling us they have found elodea here or watermilfoil here, the better,” she said.